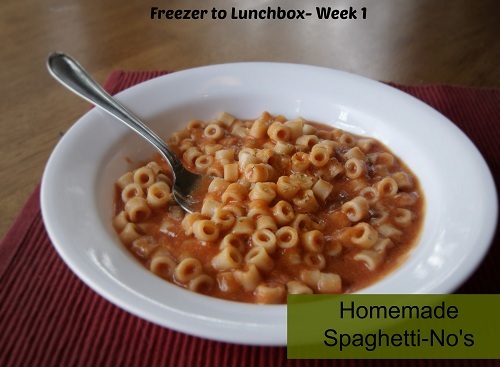 Welcome to week one of the 8 week series- Freezer to Lunch Box. Each week I will take you through a recipe to change processed lunchtime favorites into homemade goodness. All of which are multiple serving, kid friendly and freezer safe meals. I think most moms can say they look back on childhood bowls of tomato sauce laced pasta from a can with a smile. But moms today are always looking for ways to cut out fat, sugar, and preservatives from their kid’s diet. I cringe at the thought of what’s in those cans, and I just can’t spoon it into their bowls. So I set out to find a version that tasted similar but was missing non-essential add-ins. I think we have a winner folks…. Prepare pasta according to package directions. Set aside. Heat olive oil in a Dutch oven or large sauté pan over medium heat; add garlic, tomato sauce, tomato paste, sugar, and butter. Heat, while stirring, until butter is melted. Stir in milk, turn down to low. Simmer for 6-8 minutes. Stir in shredded cheddar until completely melted. 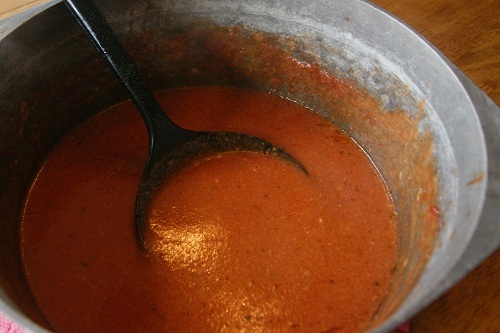 Add drained pasta to sauce mixture. Allow to cool and ladle into sandwich- sized freezer bags. Will make 6-¾ cup portions. Flatten bags, label with date and name of dish. Freeze. 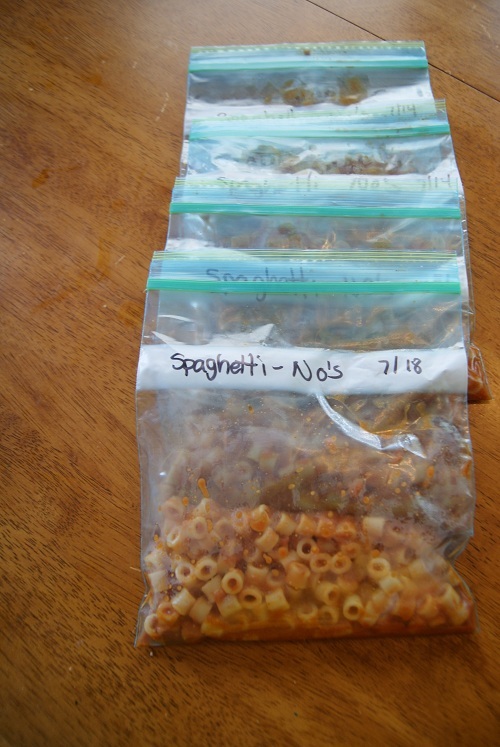 Remove from freezer the night before, in the morning pour bag into tightly sealing lunch container. This dish is delicious cold, room temp, or heated up. To serve hot at lunch; fill thermos with boiling water, close lid, allow to sit for 10 minutes, pour out water. Heat mixture in microwave and add to heated thermos. Will keep warm for several hours. 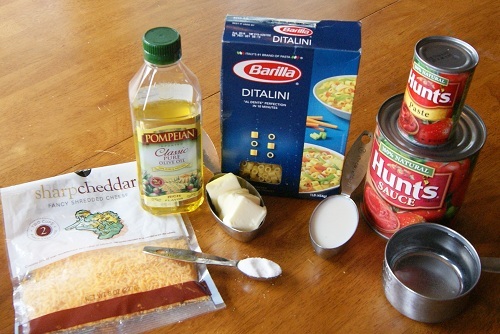 Heat olive oil in a Dutch oven or large sauté pan over medium heat; add garlic, tomato sauce, tomato paste, sugar, and butter. Allow to cool and ladle into sandwich- sized freezer bags. Will make 6-¾ cup portions. Flatten bags, label with date and name of dish. Freeze. Remove from freezer the night before, in the morning pour bag into tightly sealing lunch container. This dish is delicious cold, room temp, or heated up. To serve hot at lunch; fill thermos with boiling water, close lid, allow to sit for 10 minutes, pour out water. Heat mixture in microwave and add to heated thermos. Will keep warm for several hours. That’s fantastic, thanks for share. I do have a question; what do you add sugar for?